This post will show photos of the making of the ribs and linings from start to finish, with the exception of the shaping of the lings which will happen later, when the ribs are off the mould. First the ribs need to be thinned to almost the final thickness. 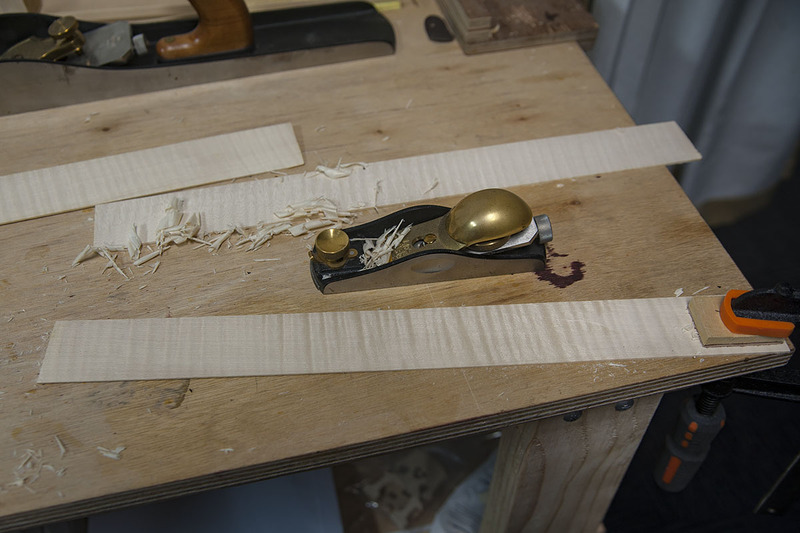 I do this with a block plane and scrapers. 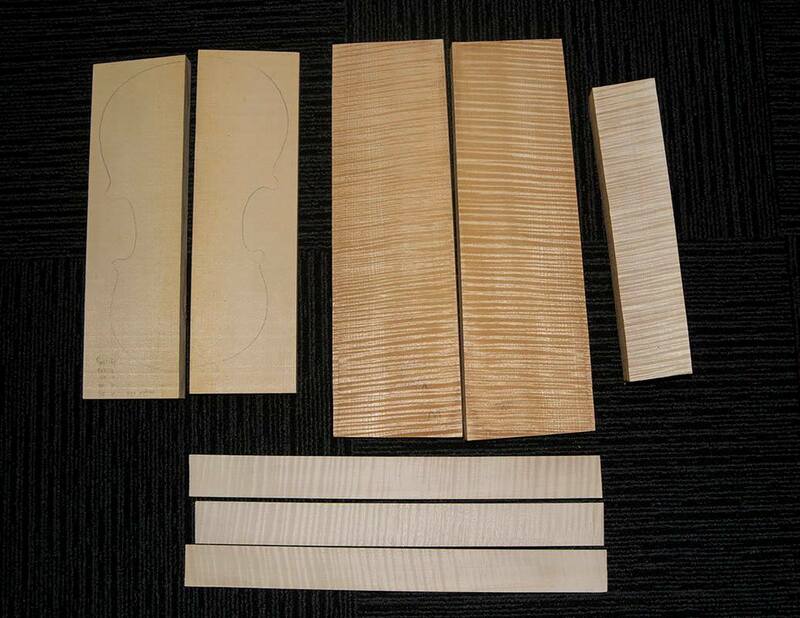 Welcome to part 2 of making the neck. The photos in this post will move through to show the finish of the carving of the scroll, and most of the tool marks have been cleaned away by the last photos. It’s not completely finished yet, but it’s time to move on to bending the sides, and while the glue dries for the sides, I can revisit the scroll to clean it up further to remove small bumps and refine the shape, especially the throat and chamfers. Making the scroll first means that I can keep revisiting it and tweaking it when I have spare moments.